Once the guns start blazing in Ben Wheatley’s Free Fire, they don’t really stop. Prolific British director Ben Wheatley’s massively entertaining recovery from the messy J.G. Ballard adaptation High-Rise is a more controlled form of chaos, a chamber piece in which no chamber stays empty for long. Almost exclusively set in the confines of a small warehouse, Wheatley and screenwriter Amy Jump deliver the craziest movie shootout of all time by making an entire movie out of it. The cheeky dialogue and relentless violence leans heavily on the influences of Sam Peckinpah and Reservoir Dogs, although in this case the comic mayhem of the protracted battle amounts to little more than a lengthy gimmick. But a what fun gimmick: Less bullet ballet than bullet drum solo, Wheatley’s zany 90-minute set piece borrows the right ingredients to put on a good show. Ever since his debut Down Terrace, Wheatley’s twisted stories take their time building up eccentric criminals before tossing in some violent twists. Kill List and Sightseers upped the ante — and the high concept Free Fire is no exception. 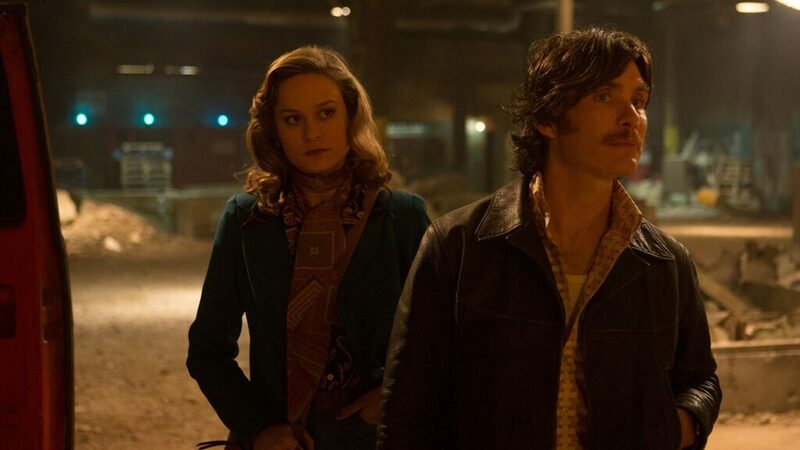 Set in the late seventies against the backdrop of Northern Ireland’s guerrilla war, the movie takes a solid 30 minutes to establish its setup: Icy businesswoman Justine (Brie Larson, in a fierce alternative to her Oscar-winning Room performance) brokers an illegal gun trade between IRA soldiers Chris (a mustachioed and mostly forgettable Cillian Murphy) and Frank (Michael Smiley, one half of the hit man duo in Kill List) and scheming gun dealers Vernon (Sharlto Copley, relishing the role of a power-hungry lunatic) and Ord (a bearded Armie Hammer who’s the movie’s closest thing to a voice of reason). To read the rest of Eric Kohn’s Indiewire review, click here.